It was a warm day in June 1884 when Catholics gathered on 12th Street near Cook Street in Springfield to lay the cornerstone for what was to be the area’s second German-oriented Catholic church. The two-story brick building, which included both a school and a large hall for religious services, was the first home for the church of the Sacred Heart of Jesus, honoring one of the greatest of Catholic devotions. Prior to World War I, Germans were the dominant immigrant group in Springfield. By the 1880s, however, Ss. Peter and Paul Church, the first German Catholic church in the city, couldn’t handle the growing community. As a result, German-speaking families on Springfield’s southeast side formally asked Bishop Peter Joseph Baltes to permit a new church to be built. Baltes, himself a native of Ensheim, Germany, approved the request. At the forefront of the effort was the Rev. Charles H. Krekenberg (1859-1951), a native of Germany. Ordained in 1883, Krekenberg served briefly at Ss. Peter and Paul before becoming pastor of Sacred Heart, a post he held from 1883 until 1920. According to Saint Katharine Drexel Parish: A Legacy of Catholicism in Springfield, Illinois, by Janice Petterchak, the $4,100 cost of Sacred Heart’s original building was financed by pledges from the congregation and by a three-month, interest-free loan from Benjamin Ferguson, president of Springfield Marine Bank. The sanctuary of that first church/school was dedicated on Sept. 8, 1884, after which Krekenberg celebrated the first Mass there. Local German-American families – the Ecks, Groesches, Layendeckers, Getschenbergers and Staabs among them – comprised Sacred Heart’s early membership. Some held positions on the church’s board of directors or with the church’s fraternal societies, which helped pay for additional projects, such as a rectory in 1886. Franciscan nuns staffed Sacred Heart School. 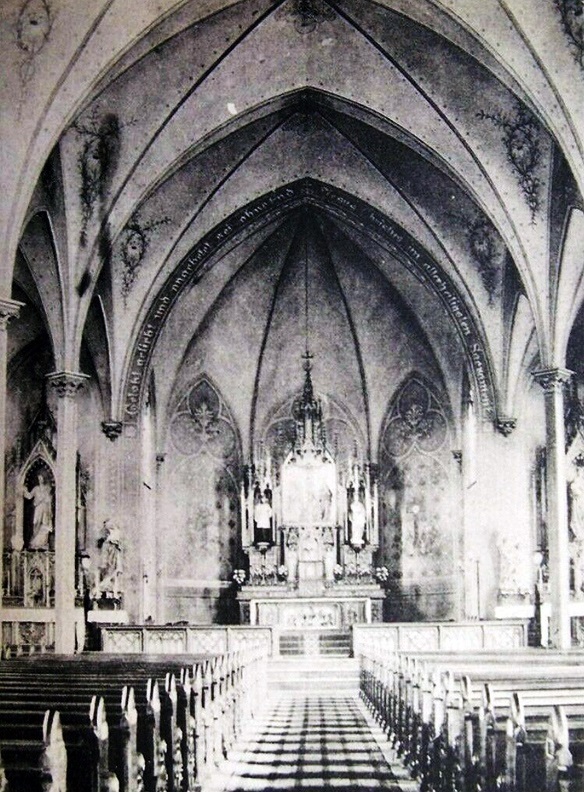 By the 1890s, Sacred Heart’s initial structure had grown “entirely too small and inconvenient,” according to newspaper reports. So in the spring of 1894, Krekenberg began hosting benefits to raise the $28,000 cost of a “new and substantial church” and school. The contractor was Otto Miller (1848-1904), a German-American who had been in business with German immigrant Herman Elshoff. Although Elshoff died before the work began at Sacred Heart, his family attended the church, which may have been how Miller stayed on to build the church and school. Before Miller & Elshoff was disbanded in 1892, the pair had been involved in a lawsuit against the diocese’s bishop, James Ryan, over a contract to build a home in Springfield for Ryan. At the time, Springfield’s Catholic churches were in the Alton diocese; Ryan seems to have thought about moving the seat of the diocese to Springfield but reconsidered, leaving Miller & Elshoff on the hook for building supplies. The dispute appears not to have affected Miller’s contract to build the new Sacred Heart project. A chime of four bells in the tower will call the worshipers to their devotions, and in the vestibule over the front entrance in a large niche for it is a statue of the Sacred Heart, whose outstretched arms seem to declare the pleading call, “come to me, all” inscribed on the base of the statue. 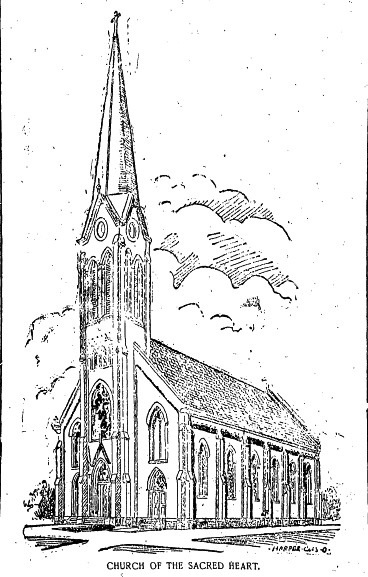 Ryan dedicated the new church on Dec. 8, 1895. Sacred Heart Church expanded in size and in membership through the early 1900s. 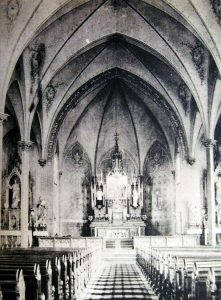 The main altar was installed in 1904, during a period when the congregation saw an increase in attendees in the form of immigrants from the Austro-Hungarian Empire. Austrians, Hungarians and Slovenian families moved into the neighborhood and attended in considerable numbers owing to the fact they could communicate with the clergy in German and with other families in the parish. However, Sacred Heart lost part of its membership following the construction nearby of St. Barbara Church, which had a predominantly Austrian and Slovenian congregation. In January 1911, the parish announced it would construct a new school building at the cost of $20,000. This time, the contract was given to Frank W. Flesch, a locally born German-American. The school was finished in time for autumn classes; four pupils were in the first graduating class. Enrollment in Sacred Heart School was augmented once again when St. Barbara’s School closed before the 1935-36 school year. In 1924, the Catholic Diocese was moved from Alton to Springfield; in this period, a reported 120 families attended Sacred Heart parish, with 910 in the congregate total. Krekenberg took ill at the start of the decade; he was eventually replaced in 1927 by the Rev. William Quatman (1877-1942), who was of Irish and German descent. Quatman served Sacred Heart until his death in 1942. In 1945, Bishop James Griffin called on the Rev. John Brockmeier (1894-1976) to return to Springfield to become pastor of Sacred Heart Church. He would remain pastor there for 25 years. According to Petterchak, the parish at that time took in 750 families, making Sacred Heart Springfield’s largest Catholic congregation. Brockmeier’s lasting achievement at the parish was creation of a credit union. That also was an outgrowth of Sacred Heart’s German tradition – the first such “cooperative lending bank” was started in southern Germany in the 1860s. 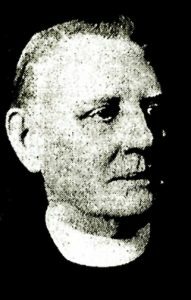 George J. Staab (1892-1961) served as the first president of Sacred Heart Credit Union, now called Heartland Credit Union. 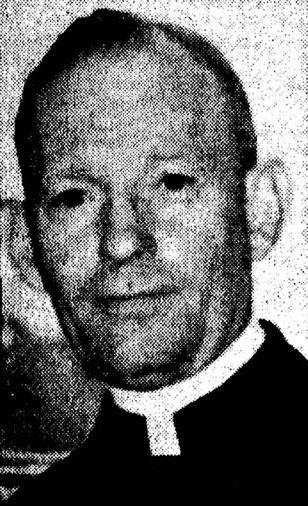 When Brockmeier retired in the early 1970s, the Rev. Stanley Milewski (1921-94) became pastor, leading the parish until his death. By the 1980s, however, southeast Springfield had changed from a predominantly Central and Eastern European enclave to a majority African-American, non-Catholic part of the city. In 1987, Petterchak reports, Sacred Heart principal Margaret Antenan said the mission of the school had changed and its finances had been unable to keep up. Sacred Heart School closed at the end of the 1986-87 school year. The church remained open. However, in 2001 Bishop George Lucas merged Sacred Heart Parish with nearby St. Patrick Parish (established in 1905 as an Irish congregation) under the name of St. Katharine Drexel. Services continued to be held at both historic churches, with the addition of Spanish-language Masses at Sacred Heart Church. As part of that effort, Sacred Heart Church began offering some Masses in the style practiced prior to the Second Vatican Council in the 1960s – Mass is celebrated in Latin, and the priest faces the altar, not the congregation, during most of the ceremony. As of spring 2019, St. Katharine Drexel’s Sunday schedule included two English Masses, one Spanish Mass and one Latin Mass at Sacred Heart Church and one English Mass at St. Patrick Church. Both English and Latin Masses were celebrated daily during the week. More information: Janice Petterchak’s St. Katharine Drexel Parish: A Legacy of Catholicism in Springfield, Illinois (2017) was an invaluable source for this entry. Petterchak’s paper also includes a history of St. Patrick Parish. This entry was posted in Architecture, Buildings, Churches, Ethnic groups, Germans, Slovenians. Bookmark the permalink. The spire and golden cross of Sacred Heart can be beautifully seen from the east windows of the Town House at 7th and Cook Streets. The bells can also be heard when the wind and traffic noise cooperate. It is truly a church with a wide outreach to those who attend and those who are inspired by its audio and visual presence. May it stand for a thousand years! William Cellini Jr. has written a very worthy and educational article. Thanks for telling us all about the church’s history. I’ve always wondered about that gorgeous church whenever I head down Cook St. Thanks! Thank you for the article. I attended grade school there, and made all of my sacraments of initiation there, as did my 9 other brothers and sisters. A fine article about a wonderful parish that touched so many of our lives and those of our Springfield ancestors. It is still a transcendent experience to attend mass there. Thank you for this article , my granddaughter went here and loved it !